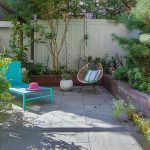 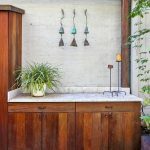 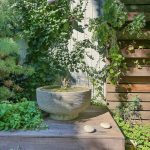 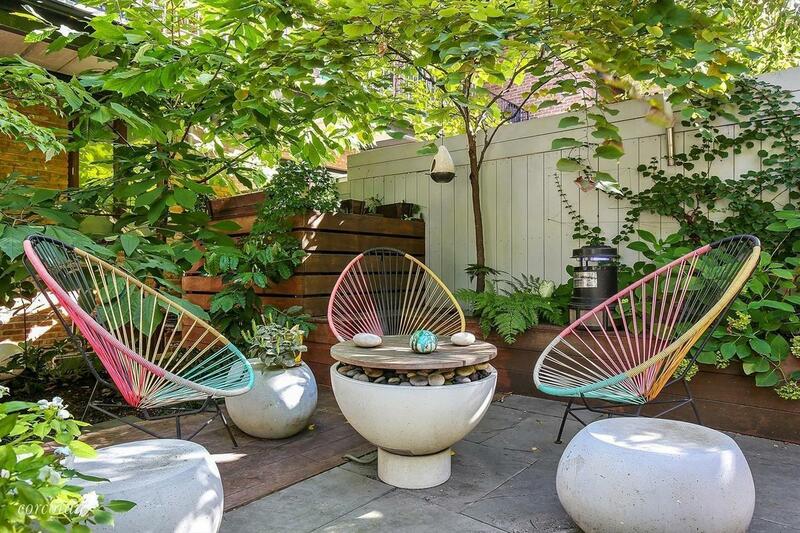 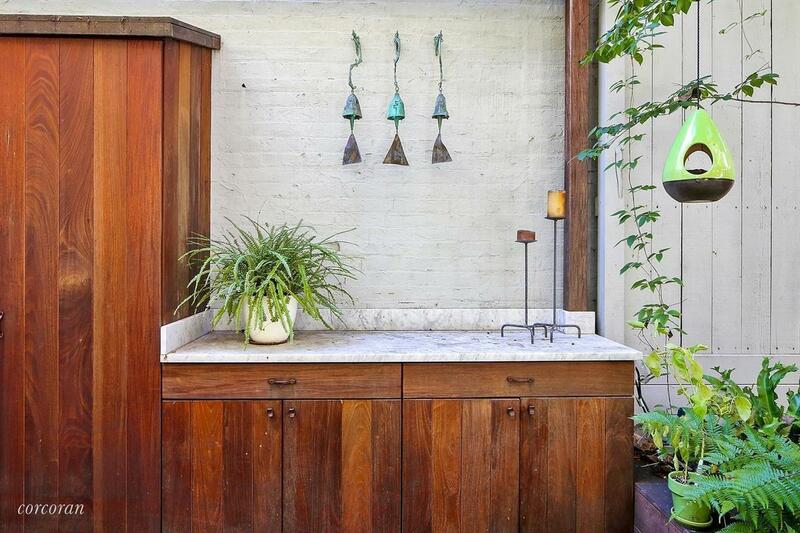 This magical Chelsea backyard has us dreaming of warm summer days filled with fire pits, barbecuing, gardening, and kicking back with the sun our faces. 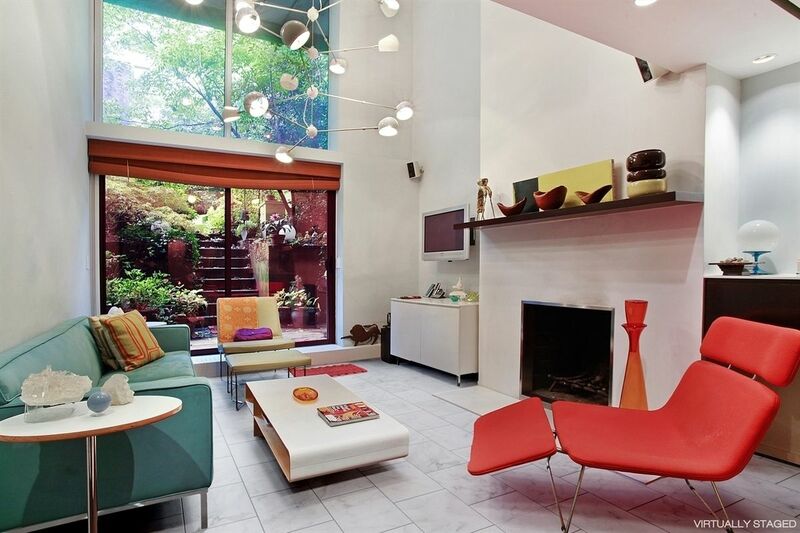 But for now, the interior of this duplex at 436 West 23rd Street is plenty spacious and beautiful to keep us safe from the cold. 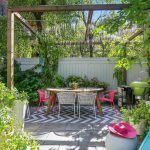 Located within the historic Fitzroy Townhouses, an incredibly intact row of 19th-century Italianate houses, the 1,250-square-foot co-op boasts a double-height living room with 17-foot ceilings, a modern and colorful renovation, and, of course, that incredible two-level garden. 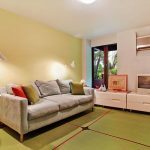 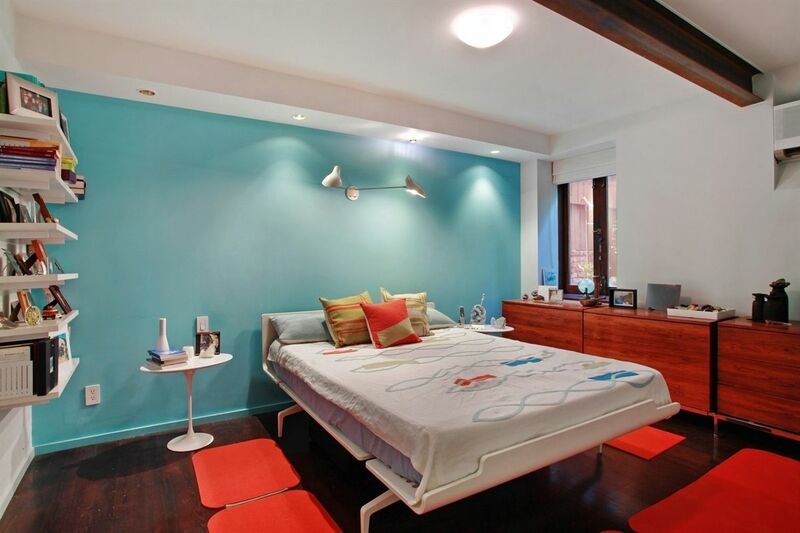 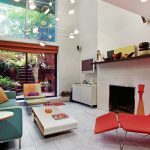 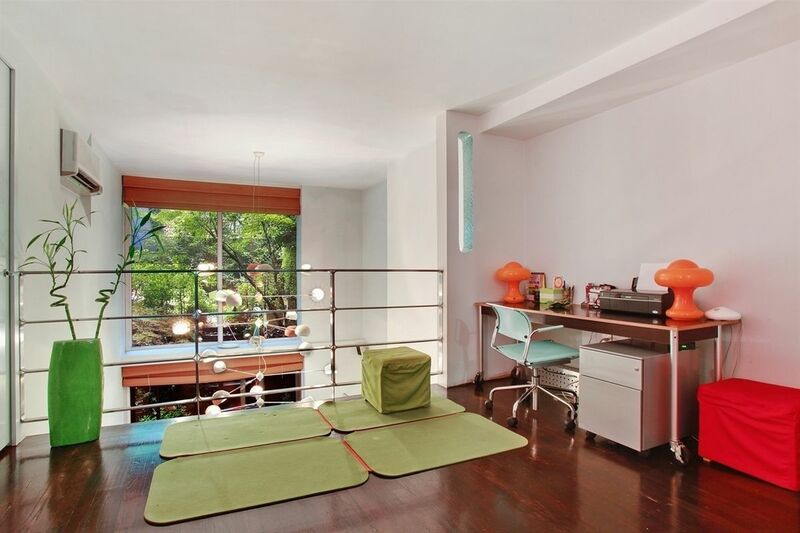 According to the listing, the two-bedroom home was “renovated by a well-known designer.” Though the living room is digitally staged, it takes on the same colorful, ’60s-mod vibe as the rest of the place. 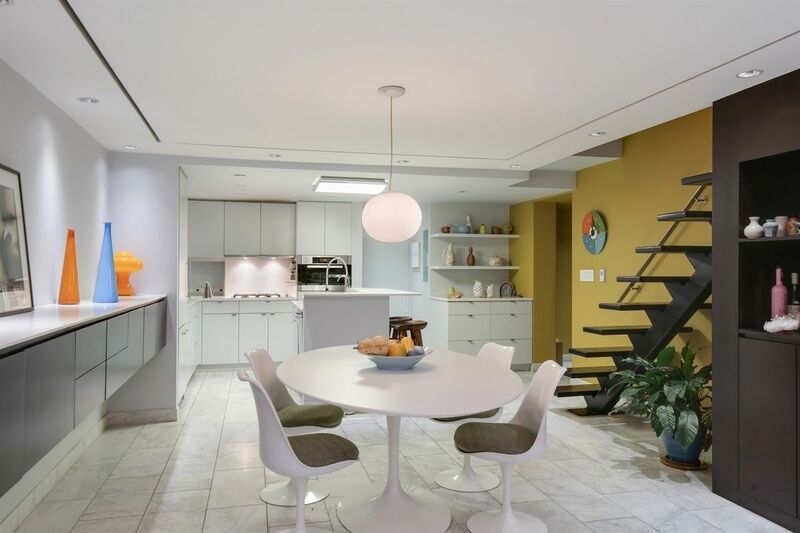 Some perks include the wood-burning fireplace in the living room, white marble floors on the first floor, rich hardwood floors upstairs, and tons of closet space. 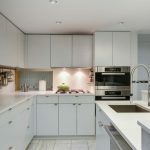 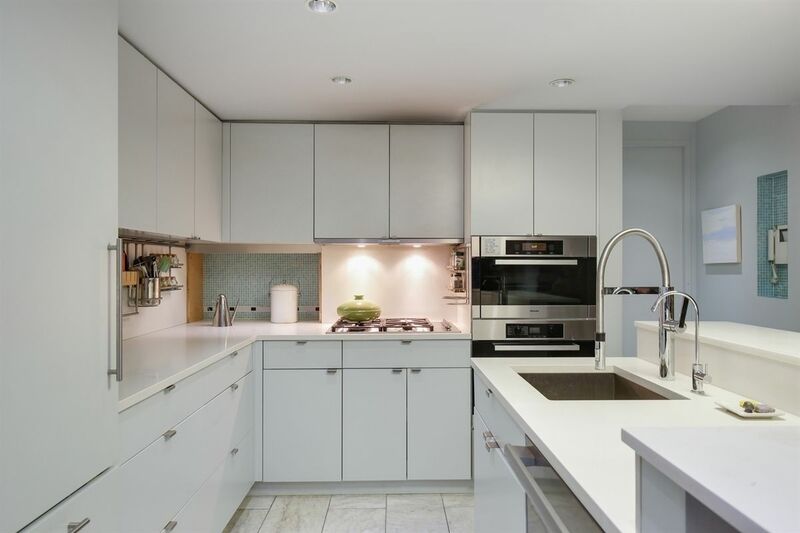 The kitchen has brand new top-of-the-line appliances, a built-in fridge, Caesarstone counters, and two built-in wall ovens, one steam, one convection. 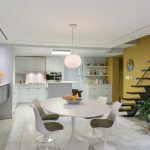 The adjacent dining area is large enough for a well-sized table and has plenty more storage in the form of a built-in buffet and shelving. 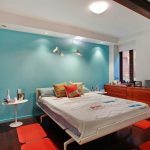 There is one bedroom and bath on the first level, while upstairs is the other bedroom and bath. 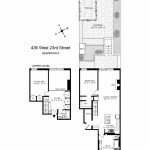 The top-level has an open foyer, currently configured as a den, but the entire level would make a great master suite with two closets in the bedroom and three more out in the foyer. 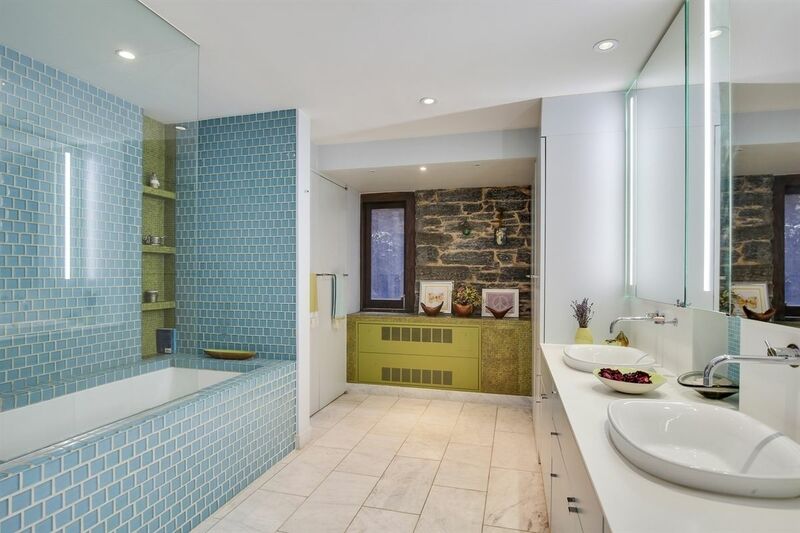 Interestingly, the larger bathroom is on the first level, detached from the bedroom. 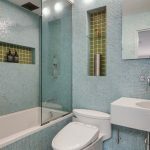 It’s adorned with hand-cut Italian glass tiles, double sinks, a Toto toilet/bidet, extra storage space, and a washer/dryer closet. 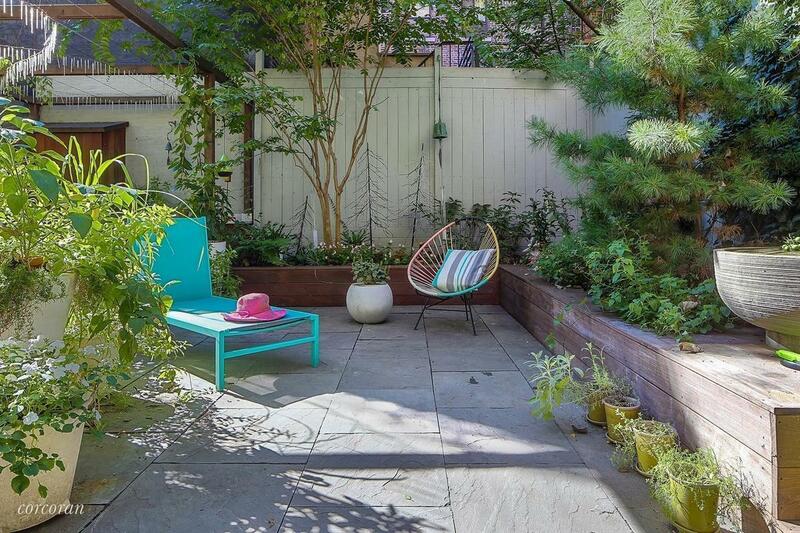 The south-facing garden is a whopping 1,100 square feet. 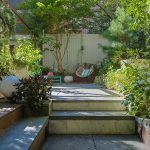 It was recently redesigned and replanted with trees, bushes, and more. 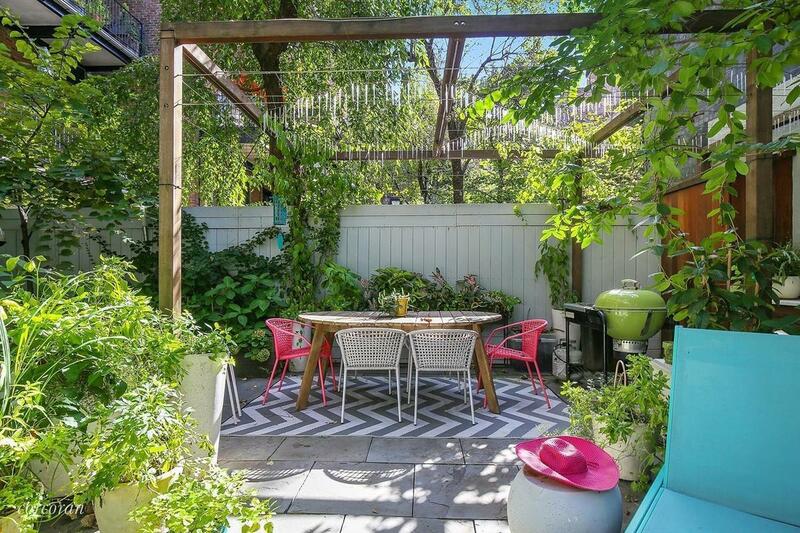 As the listing notes, it’s a “gardener’s delight,” complete with a buffet, potting shed, and outdoor storage. 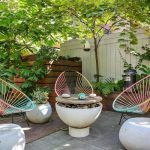 There’s also a gas fire pit, pergola, and several seating/dining areas.